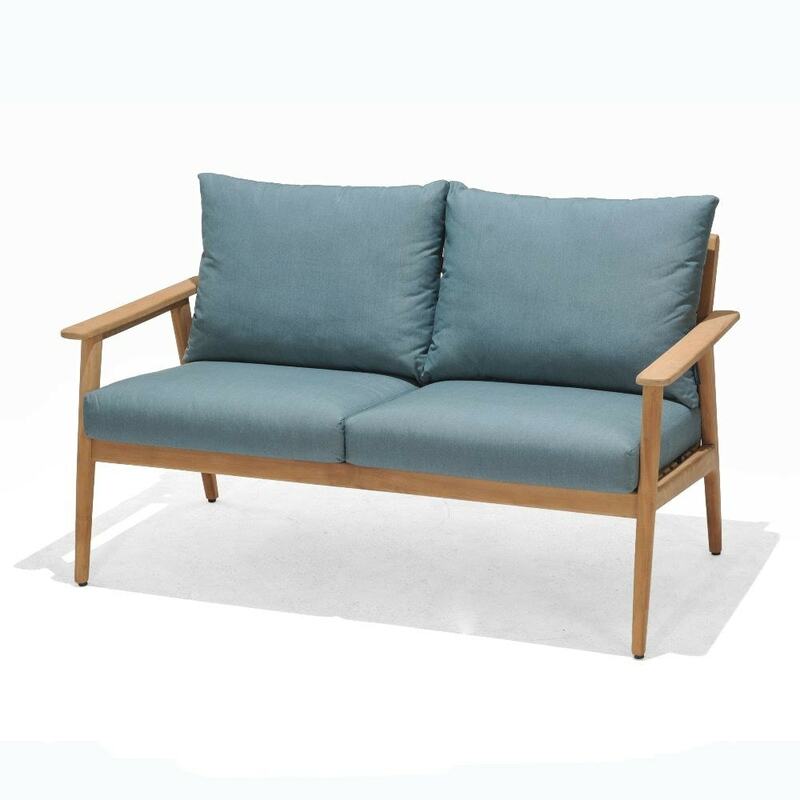 This four-seater Lifestyle Garden lounge set is a perfect way to enjoy the comfort of home in the fresh air. 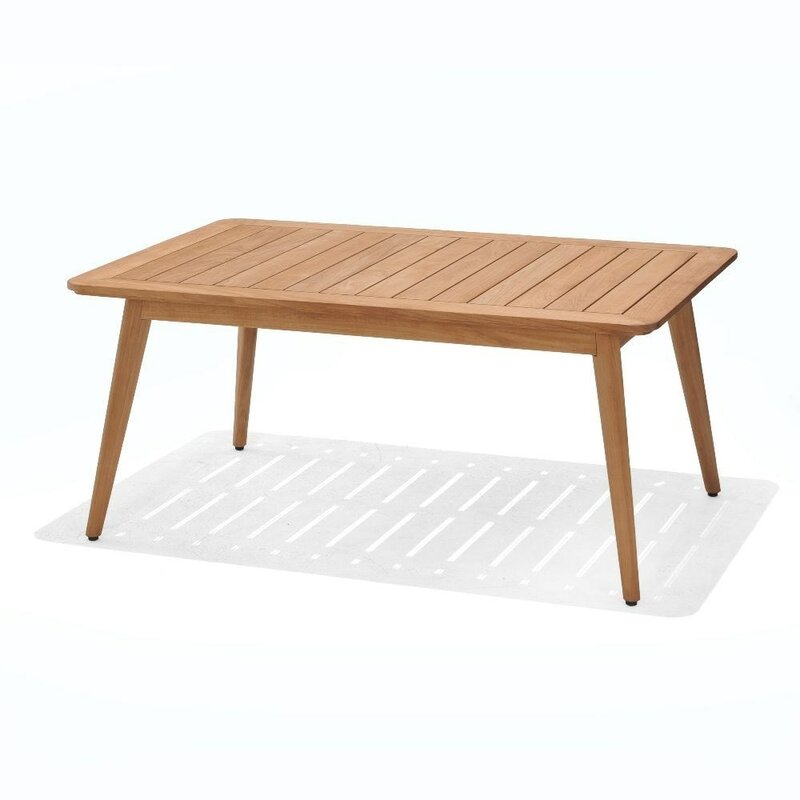 Comprising a two-seat sofa and pair of armchairs, both with deep padded cushions, plus a matching teak coffee table, it creates a cosy laid-back setting for casual drinks, dining and conversation. 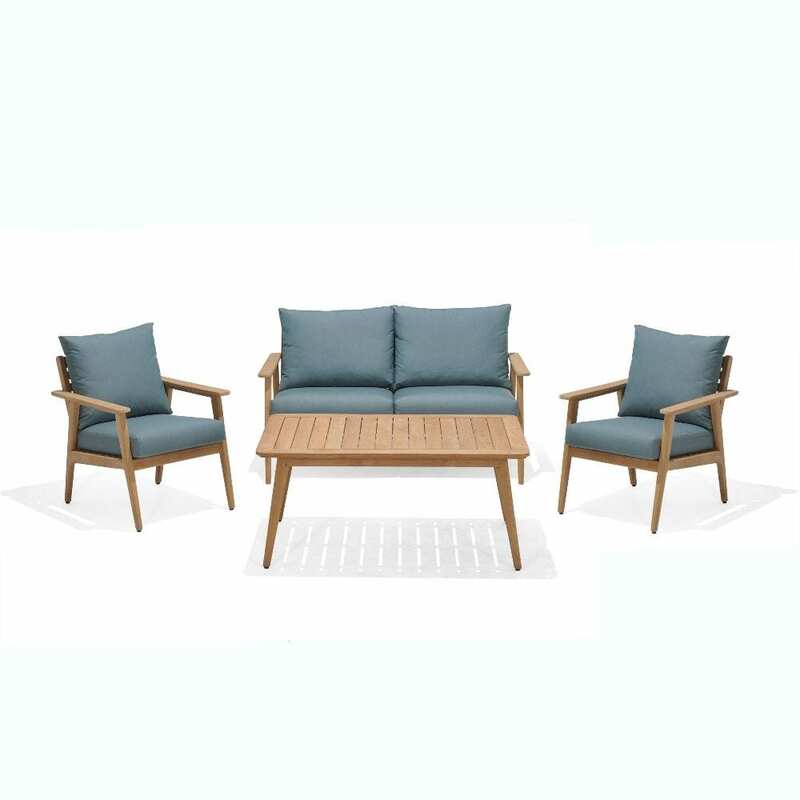 Made from sustainable teak with natural weather resistance, the set can be left out in all seasons, though the stain-resistant blue cushions are best stored indoors over winter. If left untreated, the timber will age to a stunning silver-grey patina in around 4-5 months, mellowing to a dark grey or green after 2 years. An annual treatment with a good wood sealer and wood protector will preserve the buttery golden shade if you’d rather keep it looking like new. *Subject to compliance with the manufacturer’s guidelines for assembly, usage and maintenance as supplied with the product.